At this evening’s the IAAF World Challenge meeting in Rieti, which was celebrating its 40th anniversary this year, Kenyan David Rudisha, who lowered the World 800m record* last week in Berlin to a time of 1:41.09, further reduced the all-time best for two laps to 1:41.01*. Rudisha’s time today was exactly one second faster than his winning time last year on the Rieti track which was an African record at the time, and further buried the memory of Wilson Kipketer’s 1:41.11, a World record which had withstood all assaults until this time last week. His training partner Sammy Tangui paced him at a super-fast 48.20 in the first 400 metres followed by Jackson Kivuva and Rudisha who took the lead with 300 metres to go. Rudisha went through 600 metres in the lead in 1:14.56 and continued to push the pace with his smooth stride. His run in the final straight was a triumphal race against the clock. “I just knew I was in good shape. The conditions were perfect. I expected to break two records in seven days,” said Rudisha. “I want to return to training for next year because 2011 will be a World Championships year,” continued Rudisha. Rudisha’s record was the perfect birthday for the 40th anniversary of the Rieti meeting. It was the eighth World record broken in the history of Rieti. 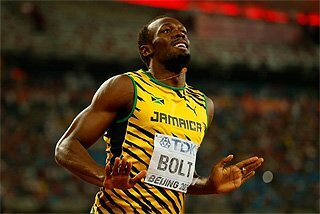 The last athlete who managed before Rudisha was Asafa Powell who clocked the men’s 100 metres in 9.74 in 2007. “I have always received a very warm welcome in Rieti. 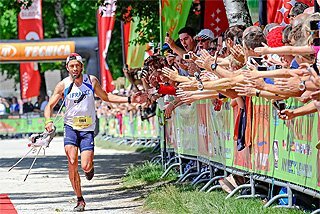 I love this track and the Rieti crowd who have always given their support. This record is for them,” continued Rudisha. Boaz Lalang clocked an impressive 1:42.95 to finish second ahead of USA’s Nick Symmonds, third in 1:43.76 (PB), and European silver medallist Michael Rimmer from Great Britain who dipped under 1:44 for the first time in his career with 1:43.89. European champion Marcin Lewandowski from Poland lost his continental leadership but produced a new seasonal best in fifth place with 1:44.10. Jamaican Nesta Carter stole the sprint show with a fantastic men’s 100 metres, a 9.78 PB run (+0.9m/s wind) which equalled American Tyson Gay’s world seasonal best from London Samsung League meeting, making the Jamaican the fourth fastest man of all-time. It was a fabulous 100m with five men under 10 seconds and the sixth and seventh clocking 10.00. Ryan Bailey smashed his PB with 9.88 beating Jamaican Mario Forsythe, third in 9.95, European champion Christophe Lemaitre, fourth in a new French record of 9.97, and Michael Frater from Jamaica, fifth in 9.98. Michael Rodgers finished sixth in 10.00 to edge Jaysuma Saidy Ndure, who set a new Norwegian record of 10.00 to wrap-up a great 100 metres. The heats were an anticipation of the fireworks in the final. Ndure won the first (1.0m/s) of the two in 10.07 beating Frater (10.12) and Carter (10.13). In the second (1.1m/s), Bailey smashed his PB clocking 9.95 beating Lemaitre who equalled his French record and European seasonal best with 9.98, his second ever sub-10 seconds time. Forsythe finished third also dipping under 10 seconds with 9.99 in a remarkable race for a heat. 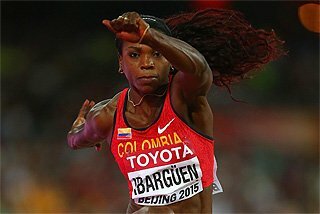 Jamaican Sherone Simpson, Olympic silver medallist in Beijing, took the women’s dash in 11.11 win in the women’s 100 metres to edge Debbie Ferguson McKenzie by 0.04. Wallace Spearmon, 200 metres Samsung Diamond League winner, stormed to an impressive 19.85 in the men’s 200 metres (0.6m/s), just 0.06 sec slower than his best time set in Zurich when he lifted the Diamond League Trophy. 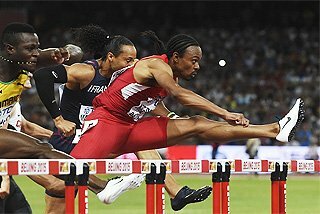 Double Olympic 400 Hurdles champion Angelo Taylor lowered his PB to 20.23. Marc Schneeberger also ran the fastest race of his career with 20.42. 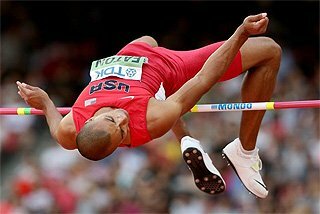 David Oliver could not dip under 13 seconds in the men’s 110m Hurdles but managed to break the meeting’s record of 13.07 set by Colin Jackson in 1994 by clocking 13.01. Jamaican Dwight Thomas finished runner-up in 13.26 to beat US Jason Richardson, third in 13.37. 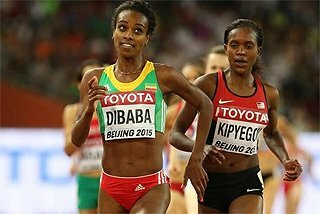 It was not just the 800m which excelled of the middle distances in Rieti with splendid races in the men’s and women’s 3000 metres and 1500 metres. Tariku Bekele improved his own world seasonal best for 3000m from 7:28.99 set in Berlin last week to 7:28.70 holding off USA's Bernard Lagat who smashed the Area record dipping under 7:30 for the first time in his career with 7:29.00. Edwin Soi from Kenya also went under 7:30 finishing third in 7:29.75 in another great race for depth with John Kipkoech, fourth in 7:32.72 and USA’s Chris Solinsky, fifth in 7:34.32. 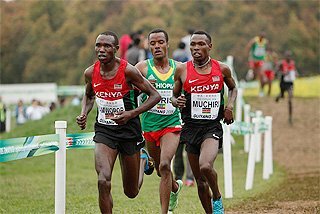 The 1500 metres featured Olympic champion Asbel Kiprop, world seasonal leader Silas Kiplagat (3:29.27 in Monaco) and last year's fastest Augustine Choge. Vickson Polonet from Kenya acted as pacemaker going through 800 metres in 1:52.64 and 2:38 at the bell before finishing his task with 300 metres to go. 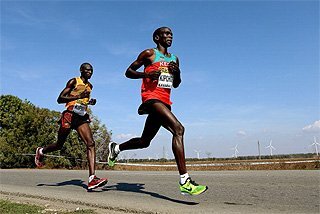 In the final lap, Kiprop and Kiplagat engaged in a splendid neck-to-neck battle which remained undecided until Kiprop pulled away in the final 50 metres to win in a new seasonal best of 3:31.78 to Kiplagat’s 3:31.97. Nixon Chepseba took third place in 3:32.42, while World champion Yusuf Saad Kamel ran his quickest of 2010 in fourth place in 3:33.06. Reigning World champion Maryam Yusuf Jamal from Bahrain returned to good form dipping under 4 minutes in 3:58.93 in the women’s race on the track where she set the meeting record of 3:56.18 in 2006. Mimi Belete set her PB to finish second in 4:00.25 ahead of France’s Hind Dehiba, third in 4:01.07. Kenyan Sylvia Kibet, 5000 World silver medallist, launched her kick in the final 300 metres to take the win in the women’s 3000 metres in 8:39.08 to hold off Moncton’s 3000 metres World Junior champion Mercy Cherono who set her lifetime best with 8:42.09. 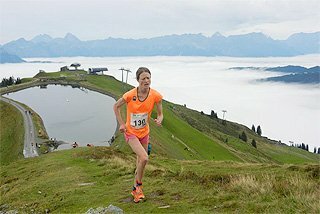 Pauline Korikwang finished third in 8:43.67. The women’s 400m Hurdles produced a major upset, as Samsung Diamond League winner Kalesie Spencer, who was leading comfortably in the final straight, hit the last hurdle badly and fell on the ground giving way to USA's Sheena Tosta who crossed the finish-line first in 54.71. 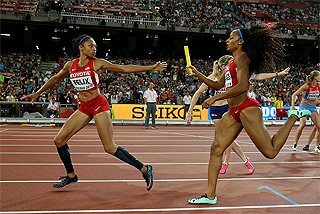 European champion Tatyana Firova and USA’s Natasha Hastings engaged in a close battle at the beginning of the final straight of the women’s 400 metres before the Russian pulled clear to take the win in 50.25 to Hastings’ 50.87. Italian record holder Libania Grenot, fourth in Barcelona in both the 400 metres and the 4x400 relay, finished third in 51.20. Samsung Diamond League winner Fabiana Murer set a new meeting record in the women’s Pole Vault with 4.74m on her first attempt. Murer was watched closely by two Pole Vault legends Sergey Bubka and Yelena Isinbayeva who were invited as special guests of the meeting. Reigning World champion Yaroslav Rybakov was the only man able to clear 2.30m to take the win in the men’s High Jump, while in the Long Jump, European Indoor champion and record holder Sebastian Bayer returned to better form to win with a new seasonal best of 8.06m beating China’s Li Jinzhe by four centimetres. The penultimate leg of the IAAF Hammer Challenge for men and the final competition for the women was held over two days with a qualifying round on Saturday and the final with the top four qualifiers in both men’s and women’s qualifiers. Japanese Koji Murofushi, who made his first appearance since June’s Japanese Championships, highlighted Saturday afternoon with an impressive 80.99m world seasonal best which broke the previous 2010 world best. 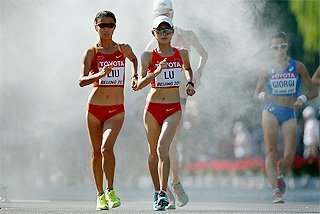 In today’s final Murofushi, who set the meeting record with 82.62 in 2007, opened the final with 79.84. On his second attempt the 2004 Olympic champion threw 80.96m, before capping the competition with two more throws over 80 metres (80.07 and 80.83). European champion Libor Charfreitag produced a best throw of 79.62 to finish runner-up ahead of IAAF Hammer Throw challenge overall leader Dilshod Nazarov, third with 78.34. 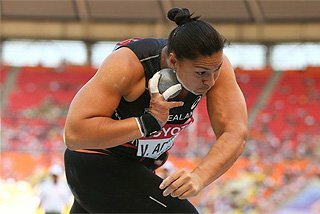 While the men have one more contest remaining in Zagreb next week, the women’s Hammer Throw today final was exactly that, the end of their season long challenge. Cuban Yipsi Moreno, who produced the furthest throw in Saturday’s qualifying round with 71.32m, went into the lead with 73.78m. Russian Tatyana Lysenko, European silver medallist overhauled Moreno on the third attempt with 74.22 and improved again in the fourth attempt to 74.80. Chinese Zhang Wenxiu finished third with 73.70 to beat World champion and World record holder Anita Wlodarczyk, who needed 75.02 to overhaul Betty Heidler in the overall ranking of the IAAF Hammer Challenge but who had to content with 73.57m.